Will Adrian Martinez Play Right Away? Maybe Not. With the early signing period beginning Wednesday morning at 7 a.m., the focus around college football is planted squarely on the 2018 recruiting class. Nebraska is no exception. The Huskers will be hoping to lock up most of their class as soon as possible, get some enrolled early and start getting to work. One name expected to sign Wednesday and enroll early, perhaps the biggest name for the Big Red, is 4-Star quarterback Adrian Martinez‍. The former Tennessee commit was head coach Scott Frost’s first offer after taking the Nebraska job and grades out as the eighth-best dual-threat quarterback prospect in the country, according to 247Sports. It’s only natural that Husker Nation be excited about the prospects of a quarterback hand-picked for Frost’s offense, but what about reality? Will he start right away just because he’ll be the best fit? Anything is possible, and I was curious what recent history had to say about the question so I looked at two different areas: Frost’s handling of then-true freshman quarterback McKenzie Milton at Central Florida and the general handling of true freshmen players throughout Power 5 football last season. Let’s start with Milton. It’s an eerily similar situation to the one Martinez finds himself in now. While Milton wasn’t Frost’s first call upon arriving in Orlando, the Hawaii prospect was one of Frost’s priorities due to his skillset. Milton had offers to Air Force and Hawaii but interest in Oregon. Frost sold him on the Knights. But Milton didn’t start right away, that honor belonged to then-senior Justin Holman. Milton didn’t see the field until an ankle injury suffered in the Knights’ second game of the season forced Holman out. He made his debut in the Week 3 against Maryland and only lasted two games before Holman returned. Milton later replaced Holman and started the team’s final eight games but long story short, an injury to the guy above him on the depth chart put him on the field. Keep that in mind as we move along in this. Milton’s numbers in his two seasons so far are worth pointing out. In 2016, he completed 57.7 percent of his attempts for 1,983 yards, 10 touchdowns and seven picks. He had a quarterback rating of 113 and a QBR of 34.7. Not great, but not terrible. For comparison’s sake, Tanner Lee completed 57.5 percent of his throws this season on 68 more attempts. In Milton’s second season, a 2017 campaign in which he would finish eighth in Heisman voting, he racked up 3,795 yards (ninth nationally) and 35 touchdowns (fifth nationally) at a 69.2 percent clip (second nationally). Big improvement from Year 1 to Year 2. That might have something to do with why there’s so much excitement surrounding Martinez. Now for the rest of the country. In 2017, there were 110 true freshmen quarterbacks on the public rosters for Power 5 programs. Among them, only 22 attempted a pass in a game. There’s a joke to be made about the SEC being the dominant conference in football and giving game action to more true freshmen than any of its peers. Eight of the conference’s 14 teams had a first-year quarterback log at least one attempt this season. The next-highest was the ACC and Big 12 with four each. The Big Ten and Pac-12 each had three (Arizona was the only school to have two different players). That’s only 20 percent of the class seeing time on the field. Worse — depending on your outlook, in this case, worse for Martinez’s prospects in 2018 — only nine true freshmen started a game at quarterback for a Power 5 team. Those programs were Florida State, Pittsburgh, Texas, Baylor, Maryland, Illinois, Oregon, Georgia and Texas A&M. There are two words that jump to mind when reading off that list: injuries and disappointment. Only three of those nine teams had a winning record and three of them changed coaches this offseason. Seven of the nine that played youngsters, saw injuries to their respective team’s season-opening starter. Only Baylor and Illinois — the worst of the group, record-wise — turned to true freshmen despite healthy alternatives, and in both instances, the first-year player was the third option. Collectively, the group of freshmen had a 58.5 percent completion rate, 45 picks and a 14-9 touchdown-to-interception ratio. And those numbers are inflated because Jake Fromm at Rose Bowl-bound Georgia wrecked the curve with his 21-to-5 ratio. Only three quarterbacks had a better quarterback rating than the team’s original starter: Fromm, Charlie Brewer at Baylor, and James Blackman at Florida State. There were exceptions to the rule, of course. Fromm was terrific for Georgia after losing starter Jacob Eason in the first quarter of the first game. Eason is now healthy and still hasn’t retaken the job. Brewer was the most productive of the Baylor Bears’ three signal-callers, Kasim Hill was electric in limited action for Maryland and Pickett is likely the future for Pitt. There’s also the “Jalen Hurts started for Alabama as a true freshman” argument to be made. Still, the likelihood of a first-year player getting on the field doesn’t seem to be too great. Especially if you’re a first-year player on a team with another quarterback with at least four years of college experience. In those situations, true freshmen were 71.2 percent likely to not sniff the field last season. If he chooses to return, Nebraska will have such a player in Tanner Lee. It will also have a redshirt sophomore in Patrick O’Brien — Lee’s primary backup for the Huskers this season — and redshirt freshman Tristan Gebbia. 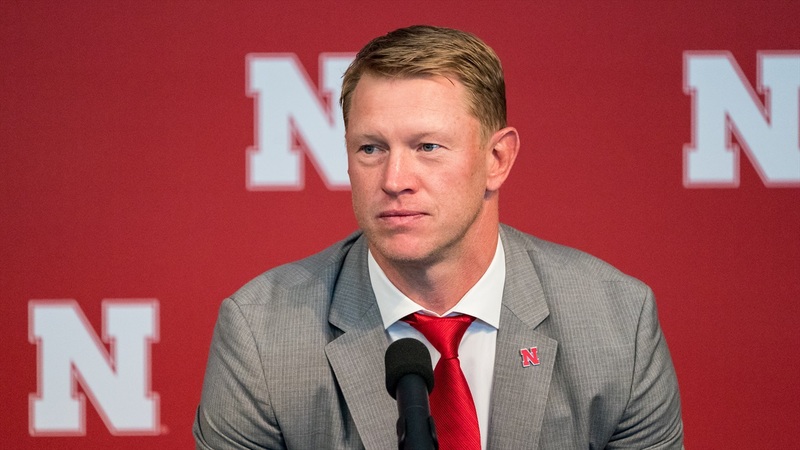 Gebbia was the favorite among the bunch to earn the starting spot in Frost’s new offense as his skillset most closely aligns with what Frost needs his quarterback to do. Martinez’s entry into the fold throws a wrench in that thinking. Does Frost embrace the rebuild project and turn Martinez loose out of the gates like so many around the fanbase are probably hoping for? Recent history says no.